A bodily injury claim is an action you can make against an insurance company when you are injured because of someone else’s negligence. If you are in a vehicle accident, and you are injured then you could make an injury claim against the responsible party. This is true even if you are a passenger. Passengers often make injury claims against the driver of their own vehicle (if the driver was negligent in anyway at all). The only way that you would not be entitled to seek compensation under a bodily injury claim is if you are 100% at fault. Note, it must be 100% your fault. If you are 90% at fault, you could still seek compensation for the 10% portion that is not your fault (different states vary on this issue). The liability and negligence (fault) analysis that the claim adjuster will make when settling the property damage will be critical to your compensation for the bodily injury claim. Pay attention to the percentages of liability that are attributed to you. If you are not 0% at fault, then you can be sued for some else’s injury. Your passengers can sue you, even if they are your family members. Talking to an attorney could be critical in preserving all your rights. However, attorneys are expensive. 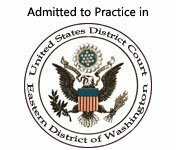 You could save thousands in legal fees and costs by learning the process. Settle Your Own Injury Claim, Save Thousands in Legal Fees. ISBN: 978-0-615-20360-7, Third Revision, 2012. It is possible that an insurance company settles the property damage against someone else at 100%, but reserves the right to take an offset (of fault) on the bodily injury claim. If you are in this situation, ask your insurance company to put any offset of fault in writing. For example, they will pay 100% of your car repairs, but will only pay 80% (20% offset) of pain and suffering and medical bills. You are considered injured, for insurance purposes, when you seek medical treatment or you tell the insurance adjuster that you will seek medical treatment (you eventually must be seen by a medical provider). 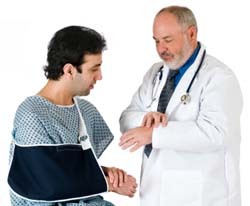 You can be in the worst accident of your life, but if you do not seek medical treatment, you are not injured. It does not matter whether you are only going to get checked or just went in for a headache. The medical provider does not have to be a medical doctor. She can be a chiropractor or a massage therapist. To be able to claim an injury, you need to show that you did more than taking a pill for a headache. By going to an emergency room you are accomplishing two things - you are getting checked out in case you are badly injured and you do not know about it (sometimes the adrenaline rush will conceal pain), and you are protecting your right to make an injury claim. If you are checked at the scene (but not taken by ambulance), you will have a hard time making an injury claim later on. This is why it is critical that you go to the emergency room right after the accident. Protect your health and your rights by going to the doctor. Some states (Utah is one of them) require a minimum treatment expense before you are entitled to pain and suffering (a type of bodily injury claim). In Utah, you must have medical bills (special damages) above $3,000 before you are entitled to receive compensation for pain and suffering. Check your state law and regulations about injury claims BEFORE you talk to your adjuster. In Utah, if your medical bills do not reach $3,000, then you could lose your rights of compensation under the bodily injury claim. It is very important to understand the laws and statutes of your state. If you are handling your own claim without an attorney (there are advantages on doing this, see this eBook), you need to know your rights in your state before you talk to any insurance adjuster or before you attempt to settle your claim. Follow the links below for more information regarding accident injuries, bodily injury claims, and what to ask when making this type of claim. Insurance companies are not on your side, either get this personal injury eBook or talk to a personal injury attorney before you make any decisions! Fill out the form above or call toll free (866) 493-7760 to talk to an attorney in your local area.